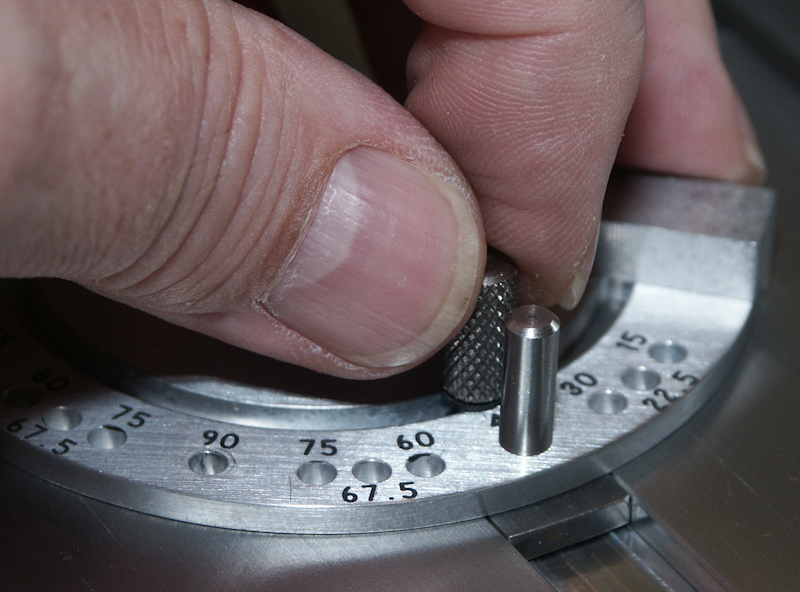 Cut duplicate parts quickly, accurately and safely! The Byrnes 4" Table Saw is a precision-engineered machine with an accuracy measured in thousandths of an inch [specifications] ... it's powerful enough to tackle 15/16" hardwood ... quietly. 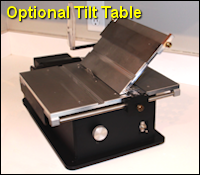 "... Jim clearly understands the fundamentals of table saw function as evidenced by his design. The use of high quality materials and the quality of build make this machine a pleasure to make sawdust with. 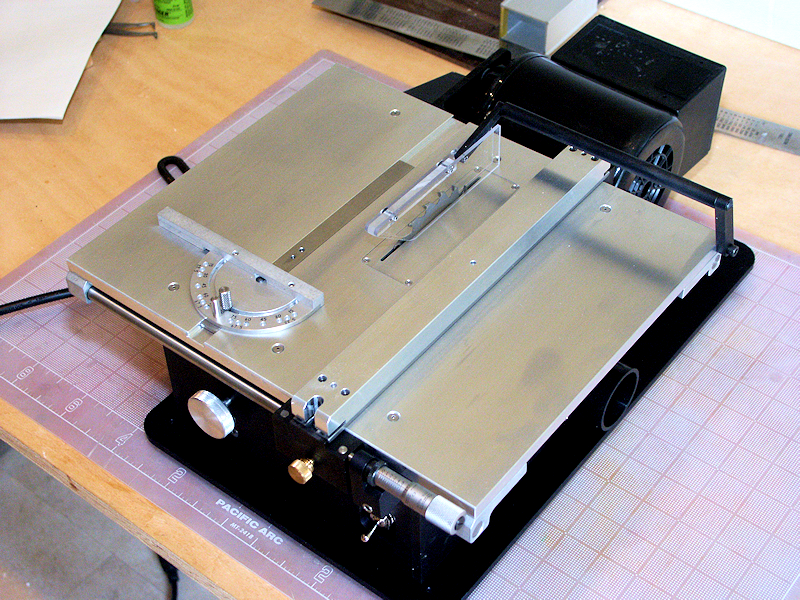 I just cannot find anything about the saw that would warrant a negative comment." Blade height is easily adjustable - and once set, it locks securely in place. 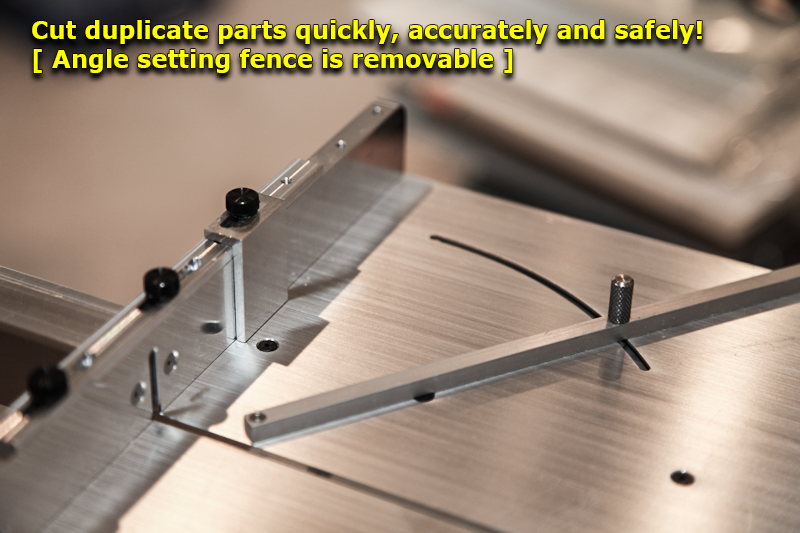 The removable fence rides on two linear bearings - and locks absolutely parallel to the saw blade. 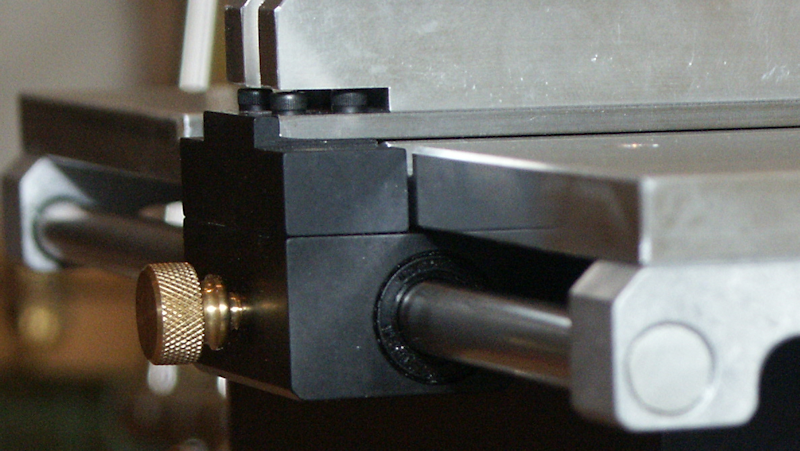 The miter gage has reamed pin holes to precisely set angles from zero in both directions ... and the locking pin will hold the gage in place at custom angles. The saw has a 1.5" ID hose connection - it's ready to connect to your shop vac or other dust collection system. Still need more accuracy? Add the optional Micrometer, and .001 inch adjustments in fence position are a breeze ... add the extended fence, and stacks of planking will stay straight. The support is there, too - a full 1 year Warranty against defects in materials or workmanship, hand assembly, quality control testing and burn-in ... but the best part? WHAT'S IN THE BOX: The Tablesaw ships with the standard (1/8" high) rip fence, miter gage, a 4" 24-tooth carbide blade and the blade guard. 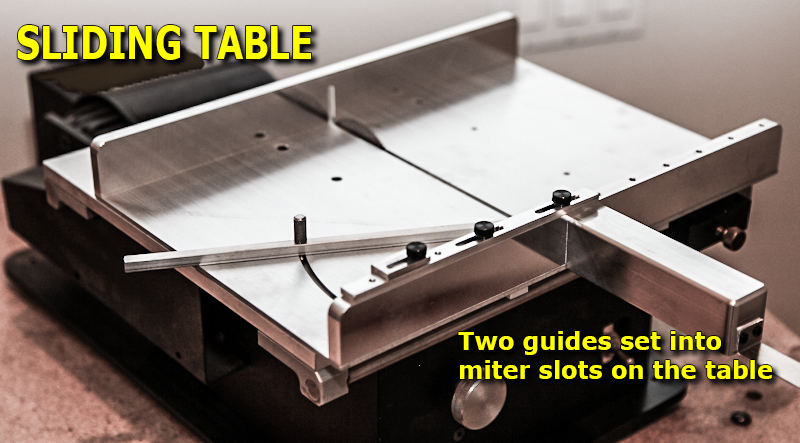 Additional blades of various sizes and kerfs are available, as well as the new Sliding Table, a Tilting Table, Rip Fence and Miter Gage extensions, a Taper Gage, a Micrometer, Miter Bar and Zero-clearance Insert. Some replacement parts are also available - see the product list at the right.